Oklahoma has one of the highest incarceration rates in the country. It has been tough on crime and it is easy to wind up on the wrong side of the law in Oklahoma. And after you have served your time, made restitution, and completed your probation, you are ready to rejoin society and move forward. Though, old convictions have a way of creeping into background checks. But a pardon may help and an experienced Okmulgee pardon attorney can help you turn a new page in your life. The governor of Oklahoma has the power to issue official pardons for those convicted of crimes within the state of Oklahoma. A pardon can act like an official ‘welcome back to society.’ And although it doesn’t erase your past convictions the way an expungement can, a pardon can act as a first step toward expungement and can help mitigate some of the ill effects of a past conviction. An expungement is a sealing of your criminal records. Once your records are sealed, it is as if the offense never occurred. But an expungement can take years to obtain. 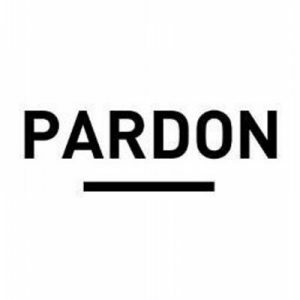 A pardon can help in the interim. While your record still shows the conviction, it also shows an official pardon of that conviction and signals a sense of confidence in your ability to be a useful and productive member of society despite the prior conviction. In addition, an official pardon can allow you to vote again, own firearms and obtain certain licenses that otherwise might remain closed to you in the face of your past convictions. The pardon process is long and so is the application itself. The application is 16 pages long and the information it seeks provides the Pardon Board a detailed examination of all aspects of your life. Although the application is a form rather than a formal pleading, the level of detail it requests should not be overlooked. And it requires a number of other documents to be attached, some of which must be certified by the court clerk. If you make a mistake in the application process either on the form or by forgetting to attach one of the required documents, you will have to wait a full year before you can re-apply. Get it done right the first time with the help of an experienced Okmulgee pardon attorney. Your attorney can answer your questions, help you understand the pardon process, and can help you obtain the pardon you want. Contact an Okmulgee pardon attorney at (918) 756-9600 or toll-free (888) Wirth-Law for a free consultation at the Wirth Law Office – Okmulgee. Filling out the application and submitting it is just the beginning of the process. Once you have submitted your application, it can take the Pardon Board months to complete its investigation of you before it makes its recommendation to the governor. You must show the Pardon Board that you accept responsibility for your actions, that you have completed all portions of your sentence, that you have stayed out of trouble and are ready to accept civic responsibility again. The Pardon Board will examine your financial situation, your living and working situations and it will also accept character recommendations from people who know you. Your Okmulgee pardon attorney knows how to best present this information to the Pardon Board in a persuasive manner. Pardons are extremely technical and you want to get it right the first time. If you’d like a confidential, no cost consultation with an Okmulgee pardon attorney, call (918) 756-9600 or toll-free (888) Wirth-Law now for a free consultation at the Wirth Law Office – Okmulgee. Or, enter your legal question or concern in the firm at the top right of this page, and one of our attorneys will email or call you.